"I have to confess that Misplaced Neighbourhood made the whole thing for me! They played nearly 2 hours of Fish Era Marillion. I also have to confess to bouncing up and down on the dancefloor quite a bit! Thank you Misplaced Neighbourhood." 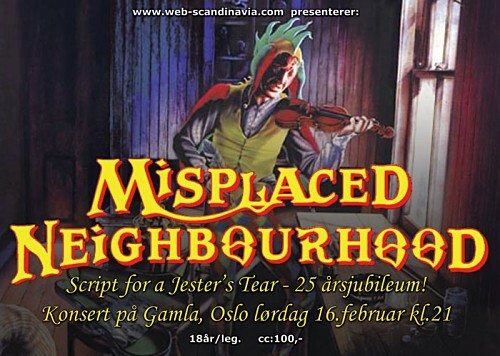 "Misplaced Neighborhood were brilliant! They really rocked the place and the crowd was in top form as well!" "Meanwhile, in front of the stage, it's 1982 and the band are finishing up with a belting version of Market Square Heroes. It can't be over so soon, can it?"